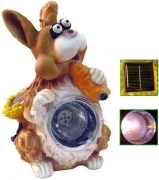 Some great solar lighting products for your lawn and garden. 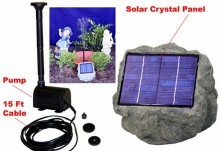 Fits all 4 Inch Posts,Stainless Steel Metal fence post solar light is perfect for adding light along your fence line. 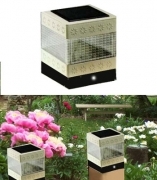 This solar lighting lroduct contains 1 bright white LED bulb. This light also comes with one black stake for ground use. Product size is 4.00" x 4.00" x 6.00" or 4.00" x 4.00" x 9.00" with stake. This solar lighting product, rock panel is set into a rock made of resin and can be mounted into existing landscape to blend in. Included are attachment heads for the pump to create different waterfall effects. - It can be set up easily wherever desired without the need for batteries or wiring installation.